And so my adventure with Thorin's company comes to an end. 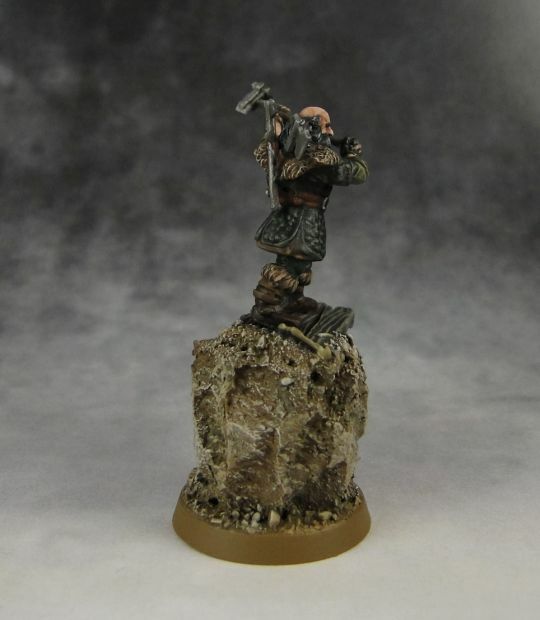 Dwalin is the last one I painted. I left him for the end on purpose. He's my favorite model from the whole company and I really liked the way Dwalin was portrayed in the movie. Grahan McTavish did a great job in portraying this ferocious warrior. I was quite impressed when I saw pics that showed how seriously the actor took the part. 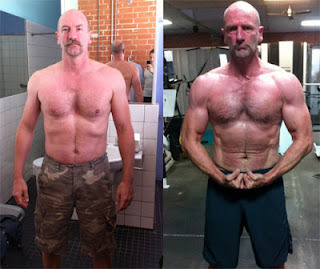 He had undergone an extensive training program and the effects were quite impressive (as seen in the pic above). 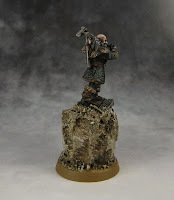 I think GW designers did a fantastic job with creating this miniature. He looks like a walking armory and grim look completes the image perfectly. I used varied shades of green and brown for his clothes. I really like working with those colors on a single model as playing with different shades can bring about nice results. 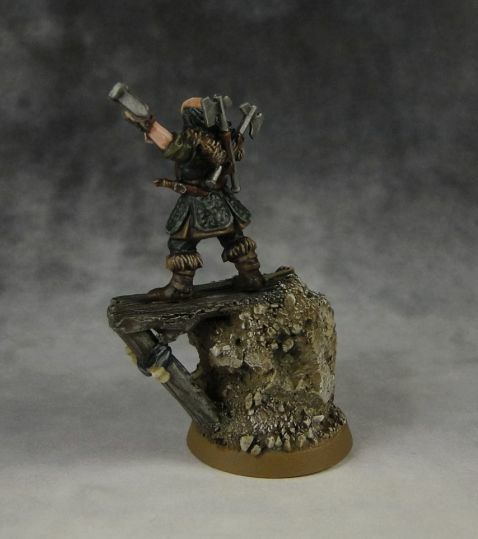 I should have some pictures of the whole company along with the other minis from Hobbit box soon. I've also started working on the new orcs. I had initially wanted to put together just a few of them but ended up prepping 8 and will probably work on the rest of them tonight. I just love these minis. They are so full of character. 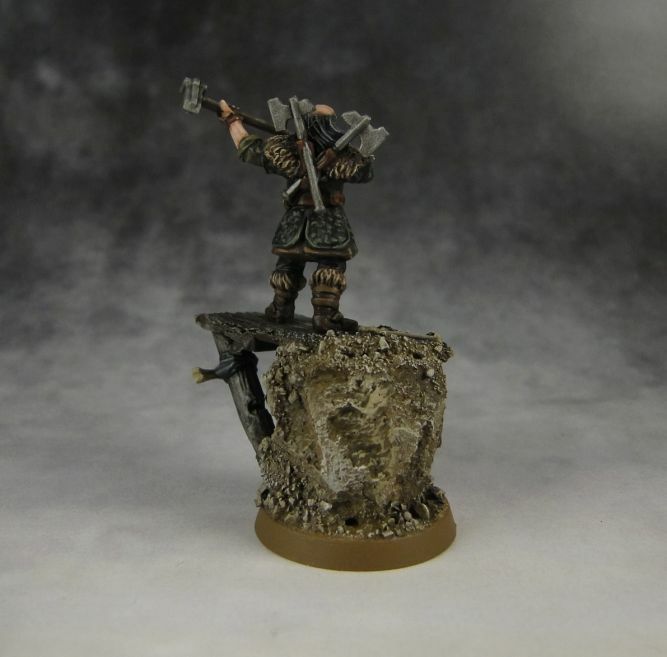 Their weapons look crude and primitive, the poses of minis are dynamic and those faces look just perfect. They are also really well cast and putting them together was quick and easy. Of course, I needed some GS to fill in a few gaps here and there but overall I have to say that these are the best plastic minis I've worked with so far. 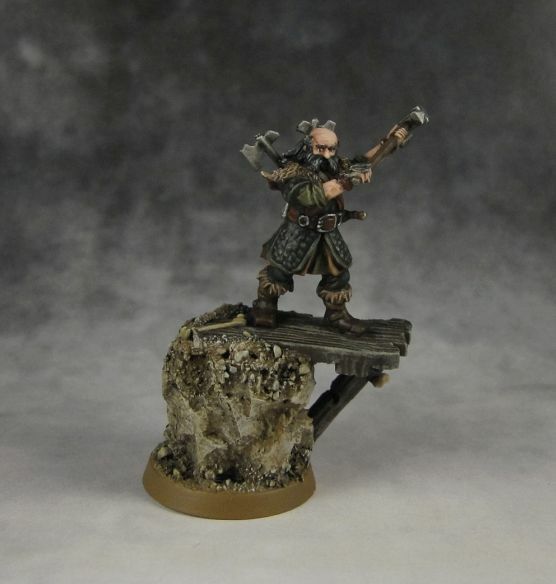 Dwalin is also my favorite dwarf, nice paintjob! 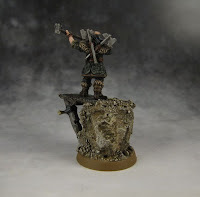 I just finished 6 hunter orcs of fell wargs. They are great miniatures. Those new Orc Hunters are fantastic, both mounted and infantry look amazing. And the new orc heroes are even better.